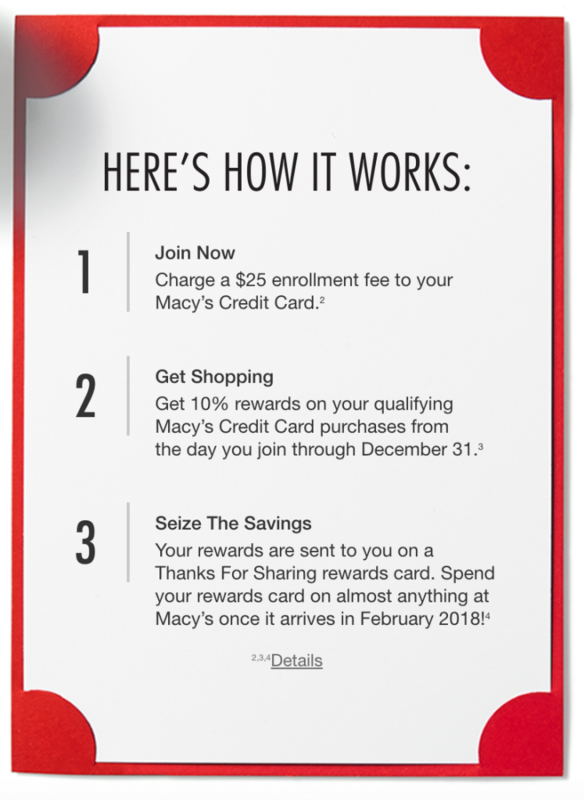 Have you enrolled in Macy’s Thanks for Sharing rewards program yet? 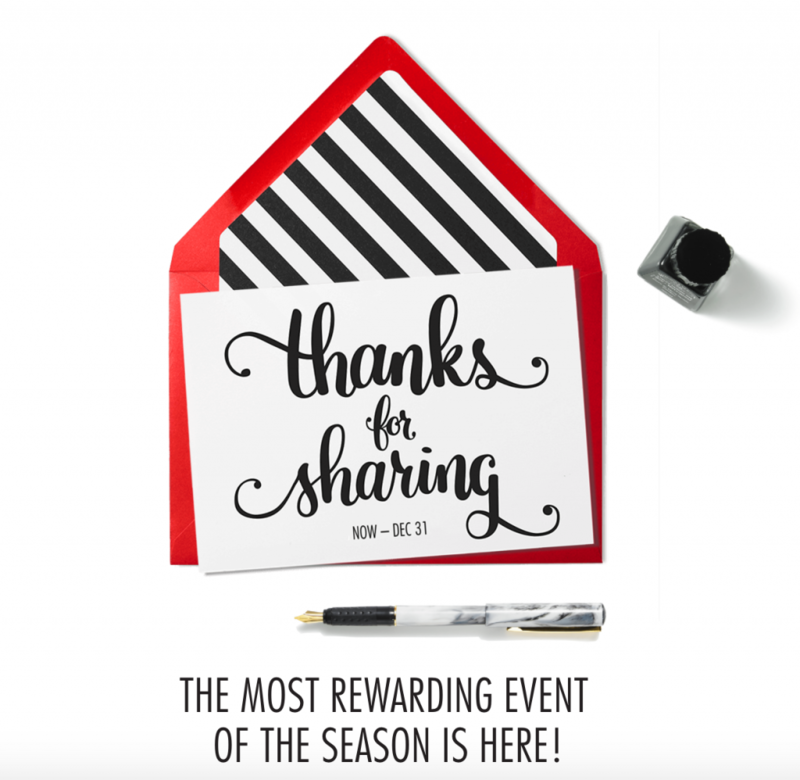 How does Macy’s Thanks for Sharing rewards program work? When you JOIN NOW, a $25 enrollment fee will be charged to your Macy’s Credit Card. Shop with your Macy’s Credit Card now through December 31st and you’ll earn 10% of your purchases back in rewards. Starting February 2018, you can use your rewards card on just about anything at Macy’s! The sooner you sign up for Thanks for Sharing and start shopping, the sooner the rewards will start racking up.